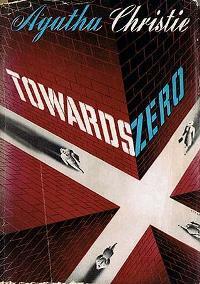 Published in 1944, “Towards Zero” revolves around the theory of how any crime takes shape. It is an old solicitor Mr. Treves, who explains it in his club in London as his “Towards Zero” theory. When we think of a crime, we think of the criminal act and its investigation, i.e., we start from the moment that the crime is committed – a moment zero. But, the crime is first born in the criminal’s mind a long time before he actually puts it in action. Also, planned or unplanned by the criminal, there are many people and circumstances involved in the process, which may or may not work in his favour. There are so many things that should not have happened but did, and there are so many things that should have happened but did not. Therefore, “Towards Zero” is a proposition that any crime is born long before the zero moment and it is the journey of the criminal, the victim and the bystanders towards that moment. And it is this journey that any good investigator should think about when he is trying to resolve the crime. What Mr. Treves doesn’t know while discussing his theory is that soon he is going to be trapped into a similar web of events himself. We meet Nevile Strange, a handsome and young tennis star, a good athlete and a good sportsman. He lives with young and beautiful second wife Kay, but seems to be strangely attached to his first wife Audrey, whom he divorced not so long ago. Nevile had a wealthy mentor, a Sir Tressilian, and it is to his house that he goes to spend his summer holidays every year. Sir Tressilian has passed away and now Lady Tressilian’s house in Gull’s point near sea is Nevile’s destination every year. Lady Tressilian and her companion Mary Aldin are quite fond of Audrey. She is their idea of a proper lady and the divorce was not altogether approved by the old lady. Kay, with her beauty, flamboyance and to some extent childishness is not a favourite with them. Even after the divorce, Audrey has been a regular visitor in Lady Tressilian’s house, but not when Nevile and Kay are around. In a bizarre turn of events, Nevile proposes that Audrey should visit Lady Tressilian, at the same time when he is going down there with Kay. He is suffering from the guilt of having divorced her for a younger woman and is anxious for Kay and Audrey to be friends. All the concerned parties agree very grudgingly to this plan. Mr. Treves, on the other hand, is forced to spend his summer holidays in vicinity of Gull’s point as his usual place is not available this summer. He renews the acquaintance with Lady Tressilian from old and pays her a visit. During this visit, he can’t help but notice the highly tensed atmosphere of the house. Gaunt, pallid and beautiful Audrey seems to have got a hold on Nevile, and he appears to pay more attention to her than Kay. Kay takes it very badly and is often throwing fits of temper. Kay is accompanied by an attractive friend Ted, who openly accuses Nevile of not taking care of Kay. Audrey’s cousin Thomas Royde has come back to England after a long time just to see if she will respond to his love. He doesn’t mind taking law into his own hands to punish someone. The entire house is on the edge. Audrey is frightened, Nevile is confused, Kay is angry and everyone else is bewildered. While spending an evening with them, Mr. Treves notices the tension and tells them a story about a child who killed his friend. He says that he would recognise the child even today due to distinct physical characteristics. The same night, he is very cleverly murdered. 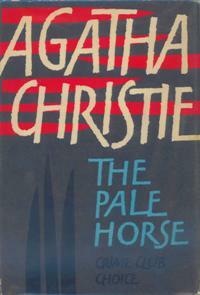 Soon after, the domestic drama in the house reaches its height and Nevile actually proposes to marry Audrey again. Lady Tressilian does not approve of such callous conduct and admonishes him. The same night, Lady Tressilian is brutally murdered. 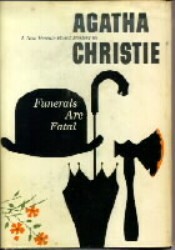 Our old friend Superintendent Battle is spending his holidays with his cousin Inspector James Leach and thus arrives on the scene of the murder to investigate. Slowly, painfully he gathers the clues that all point towards Audrey. Audrey confesses that she committed the murder. But, it is at this point that Superintendent Battle realizes otherwise. The challenge now is to find the real criminal. What makes Superintendent Battle think that Audrey is innocent? Who is the murderer? It is by a stroke of luck that a stranger called Andrew McWhirter arrives on the scene and helps unravel the mystery. Who was the actual victim of the whole conspiracy: Mr. Treves, Lady Tressilian or someone else?